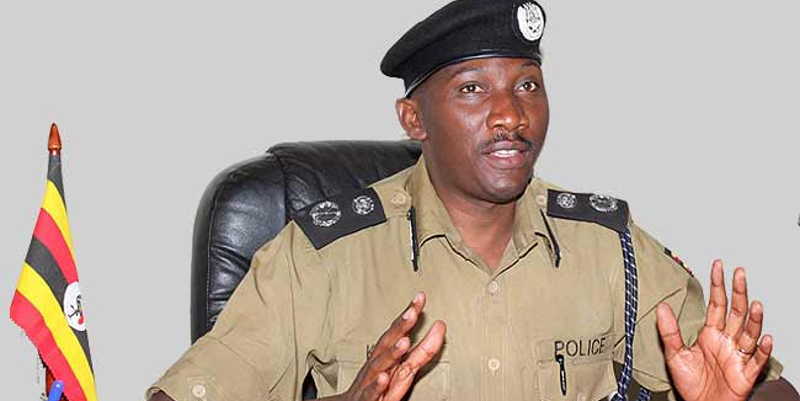 Who is behind AIGP Kaweesi’s assassination? Clandestinely, must have been a person who many people loved to hate. In virtually any area you turn to, Kaweesi drew a lot of distaste. Publicly, however, he appeared to have been respected, liked and his actions approved. That approval was reflected in his meteoric rise in the Police ranks. At 43, he was on the up-and-up. His superior, Lt. Gen. Kayihura’s contractual term as IGP, is reportedly nearing an end; and bar the renewal of that contract, the IGP position is up for grabs. Obviously, it is President Yoweri Museveni prerogative to name the incumbent of that office, but as a career policeman, and a Young Turk, Kaweesi’s run for that position was tantalizingly close. Moreover, Kaweesi’s responsibilities had come with a lot of compliments. When he was gunned down with his driver and bodyguard, Kaweesi was not just Assistant IGP, he was also the Police Spokesman, Director of Operations, Director of Human Resource Development and was undertaking the setting up of a senior Police staff college. That would be a tall order for anybody. No wonder, IGP Kayihura, said he relied on Kaweesi – a lot. That reliance made Kaweesi a bone of loathing within the public. In trying to control demonstrations, Kaweesi was at the top of ordering Police mambas to spray people with tear gas. The mention of it is now a household byword for Police harassment. The image of the Police has been ever tainted by this overt show of force against unharmed citizens. Whether or not he was carrying out orders, is immaterial: he was the face of the force. It did not endear Kaweesi to the people. These types of actions were particularly irksome to some sections of society.The Muslim community viewed itself as unfairly targeted, even though they have failed to visibly untangle themselves from the actions of the Allied Democratic Front (ADF). The rumblings have continued with the unsolved murders of leading Muslim clerics, and other important figures in the community. The most recent case is the murder of Maj. Mohammed Kiggundu, who was killed in a similar fashion, to that which Kaweesi himself, has had to face. Similarly, the case for the Kasese attack on the palace of the Rwenzururu King Charles Mumbere Irema Ngoma, has pitted the Government against a community. As much as there are other figures in that debacle, such as Maj. Gen. Peter Elwelu, who commanded the military operation, Kaweesi had stood head over shoulders in his defense of the sacking of the palace as, “lawful”. Two matters are still unresolved over this difficulty: the numbering of deaths which Government insists is around 100 people as against the Rwenzururu claim of 187. Also, the International Criminal Court (ICC), has recently visited the area; and the case of bringing the perpetrators of the attack into the ICC court at The Hague is still controversial. Kaweesi was not far from being named as a “perpetrator” by the Rwenzururu. Predictably, the Government officials have been loud in their condemnation of the brazen assassination of this lovable/hateable figure of Kaweesi. First, it has brought into question the level and intensity of the intelligence services – more-or-so of the Police itself. Secondly, the style and the readiness of which the senior officers are body-guarded. And thirdly, and crucially, how the “terrorists” can easily and readily infiltrate the security ranks. It is to be noted that the killers were riding boda bodas; that they had been casing Kaweesi’s home in Kulambiro. The mode of boda bodas is noteworthy because, it is generally known that the security services have put them into their employ. Consequently, without a clear, recognizable and traceable system of command, it is difficult to know who is who. And so, the killers got away with this kind of distorted identity. Or, almost: it transpires that a child may have seen the killers. Even then, these were most certainly hired goons. This is perhaps most clearly demonstrated by the arrest of a Yuda Taddewo (Almost certainly a dubious name), at the scene of the crime when he was scooping soil containing the spilt blood of the three victims. On being confronted, his reply was that he was doing that as an “orders from above”. That phrase can, of course be read in a number of ways. Taddewo was probably collecting material for witchcraft rituals; to smother the evidence of the attack or was doing this to strengthen the evidence against the perpetrators. In so doing, whoever was behind the murder, may have given the game away. It therefore narrows down to the possible suspects, from the number of the quarters that were opposed to Kaweesi. Alongside the child, these developments may not have been taken into consideration by those who organized the assassination of Andrew Felix Kaweesi. Did we over rely on good luck?